Lightweight and manoeuvrable, the PowerSharp guide bar is designed as a direct replacement for your existing bar. Its alignment and latch pinholes for the proprietary sharpening tool ensures perfect alignment between the cutter and the stone. It also features a small nose radius to help reduce kickback energy. 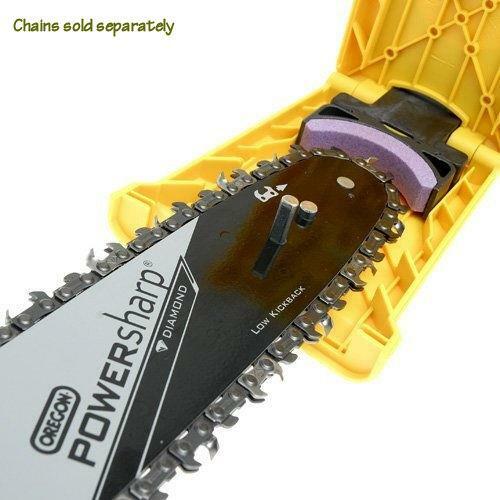 Simply clamp the sharpening unit onto the end of the PowerSharp guide bar when sharpening.